The original outcome of this pie was a bit more savory than sweet, so we upped the sugar and reduced the ginger just a bit. The end result was a fun twist on a traditional Thanksgiving Day pie. Press crust into pan and bake until light golden, pressing any bubbles with back of fork, about 15 minutes. Cool crust on rack. 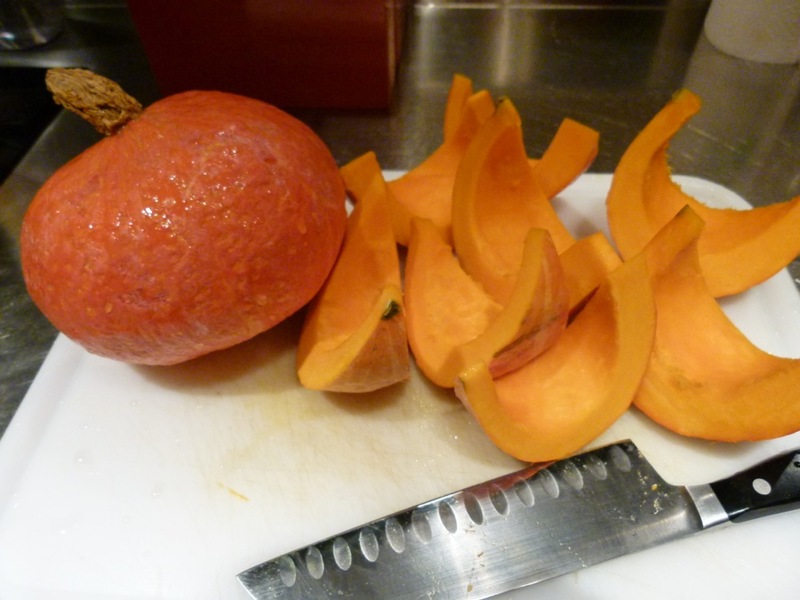 Slice pumpkin into 8 to 10 half-moons and remove the seeds. 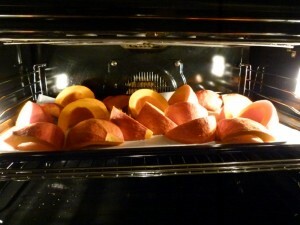 Place on a parchment lined baking sheet and roast until pumpkin is tender and golden, about 30 minutes. Remove and discard the skin and measure out 2 cups of the meat. In a food processor combine brown sugar, cinnamon, ginger, nutmeg and salt. Blend well. Add pumpkin, milk, egg, egg whites and vanilla. Pulse until mixed. Spoon into baked crust. Cover edge of crust with strips of aluminum foil to prevent burning. Bake on middle oven rack for 50 to 60 minutes, until filling is set in center when pie plate is jiggled. Transfer to wire rack, and let cool completely. Serve with cardamom whipped cream. Previous postCanned Pumpkin Pie Next postPumpkin "Brownies"